trove of history and culture. Relax and recharge with a luxurious day at sea, then it’s on to Croatia’s Dalmatian coast. Your voyage concludes with an overnight in Venice, so you have plenty of time for walking tours of the Doge’s Palace and St. Mark’s Square, and a gondola ride through the canals at sunset. Just the perfect way to end this magical journey! Carnival Interline Cruise Rates. No Booking Fees! Rates and availability are subject to change at any time and do not include port charges and government fees. AMA Waterways Interline Cruise Rates. No Booking Fees! Laid-back and sophisticated. Germany may be your soul mate. We’re just being frank here, but Frankfurt is eﬀortlessly cool and the perfect lead in for this 8-day adventure. 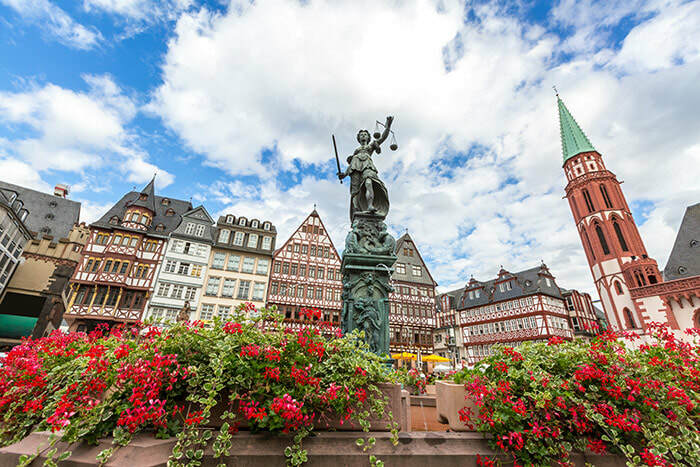 This booming metropolis is a concrete paradise with a unique German charm. You’ll get well acquainted during a night walk with your U hosts. Miltenberg, Würzburg, Bamberg and Nuremberg will certainly live up to the hype as well. We suggest an excursion to a fairytale castle, a bike trip along the Main river, and a Nuremberg culinary tour. Discover the best of Deutschland on one amazing vacation. *The displayed pricing is in USD. Standard pricing is per person based on double occupancy. Pricing does not include port charges of $170. Gratuities are included. For complete details view our terms and conditions. Our Best Offer is valid for new, individual bookings on select 2019 itineraries and departure dates only, made between January 1, 2019 and March 31, 2019. Offer applies to full-fare bookings only. Availability of all stateroom categories cannot be guaranteed. All fares and savings listed are in US Dollars. Fares featured are for cruise or cruise/tour only, per person (unless otherwise noted) based on double occupancy. Rates for single guests are available upon request. Rates and savings vary by itinerary, departure date and category of accommodations. Offer is not combinable with any other promotional offer or program, except U Circle savings/benefits. All applicable discounts are applied sequentially; fixed savings amounts are deducted prior to applying any percentage-based discounts. Offer is capacity controlled and may be modified or withdrawn at any time. Other restrictions may apply. Waived Single Supplement and Reduced Single Supplement offers apply to select dates and itineraries only. Category upgrade charges apply. Waived or Reduced Single Supplement offers do not apply to suites. Waived or Reduced Single Supplement offers are not combinable with other current savings or promotional offers. Waived Single Supplements apply to cruise-only departures only and are based on Studio category staterooms; Reduced Single Supplement applies to cruise/tour dates. All applicable discounts are applied sequentially; fixed savings amounts are deducted prior to applying any percentage-based discounts. Offers are capacity controlled and may be withdrawn at any time.